Dhananjay is a Thought Leader and a Mentor to Startups and C-Level Executives. He is a Selfpublished author on both subjects. Let yourself FAIL – great startup newsletter for Entrepreneurs. Entrepreneurs have a reputation for being fearless. After all, it takes guts to start a business on your own! But there’s one thing that we’re all afraid of: failure. We’re afraid that if we make just one mistake, our company will fail. But in reality, a single mistake won’t bring our businesses crashing down to the ground. Our fear of failure does far more damage than failure itself! Dealing with negativity can be difficult at times as a business owner. Franziska shares her best tips on how to cope with people who are offloading their own fears and frustration on to you in this BBTV episode. 2. Brand consistency is crucial if you want to grow a business people trust in and choose to buy from. In an increasingly competitive market, brand consistency is what will help you keep thriving. Franziska and our creative genius Julia talk about ways to put together a simple style guide, why consistency is key to attract a loyal following, and how to amplify your brand across different channels in this week’s ‘Pick of the Bunch’ podcast episode. This week’s shout out goes to Susan Petrie from Beanstalk, who is one of our amazing Clever Bunch members! Susan is celebrating winning 1st place in the Perks Business Boost awards last week! Big Congratulations Susan! Are you looking for a speaker at an upcoming event? Franziska’s down to earth approach is like a breath of fresh air and she is quick at winning over the hearts of the audiences through her realness, fun approach and sharp-witted humor. She has spoken at some of the biggest conferences around the globe including Awesomeness Fest, Zentrepreneur, VIVID and TEDx. Please email admin@basicbananas.com for more information or to book her in for an event! Here’s to creating ripple effects of awesomeness everywhere we go! Posted in R&R- Read and Recommend | Tagged #0 10 Top ListVerse Newsletter Branding for Startups Mentoring SME/ MSMEs and StartUps New Advances New Ideas New Learning New Life Newsletter of the Day R&R- Read and Recommend Startpreneur StartPreneur Mentoring Startpreneur Speaker Startup Startup Marketing What's New? Startups across the world can compete for the million dollar challenge competition at the forthcoming Vizag Fintech Festival with a select few eligible for $1 million of equity free funding. The government of Andhra Pradesh has laid out the roadmap to establish the city of Visakhapatnam as the fintech hub of the country. It will be held from October 24 – 26 where the Million Dollar Challenge will be the key highlight as a select few startups vie for recognition. His face has been printed across our currency notes for 22 years and counting. Gandhi portraits adorn the walls of Indian courtrooms, police stations, government offices, etc. Schoolkids dress up as Gandhiji in annual functions year after year. And, there is media and popular culture that keeps Gandhi — somewhat like Che Guevara — always topical. YourStory lists some notable pop culture references that invoke and celebrate Mahatma Gandhi. To promote khadi as a global fabric, new designs and styles are being promoted. The new MEIS policy of 2015-2020 emphasises on exports; it expects a turnover of Rs 70,000 crore this year in comparison to Rs 52,000 crore last year. YourStory takes a closer look at five startups taking the khadi initiative forward and making the fabric a style statement for the hip and the young. Cyclops Medtech, a 2015 Tech30 company, helps create an attack environment inside a clinic enabling doctors to perform tests and study symptoms in vertigo patients. Cyclops Medtech focuses on building and manufacturing diagnostic solutions for episodic neurological events like vertigo, with the use of eye-tracking technology. Last month the team raised a funding of $1 million led by Unitus Ventures. The Supreme Court verdict on Aadhaar has finally blown away some of the cobwebs surrounding the debate about the world’s largest database of citizen information. Indeed, what the 1,500-page verdict has accomplished is no mean feat. With both sides – the civil liberty activists and the technologists – so deeply and emotionally entrenched to their differing views, it’s important to take a step back and examine these core issues more closely. Facebook India Startup Day is celebrating stories of founders and leaders who with the support of technology are solving current and future societal challenges. 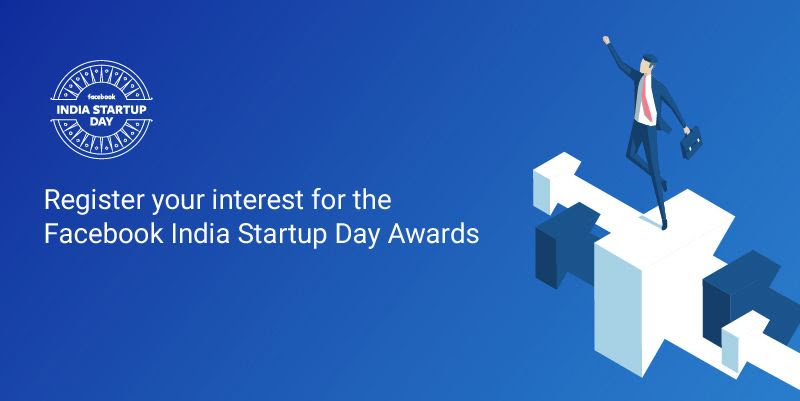 Get a chance to connect with such leaders at India Startup Day Awards. 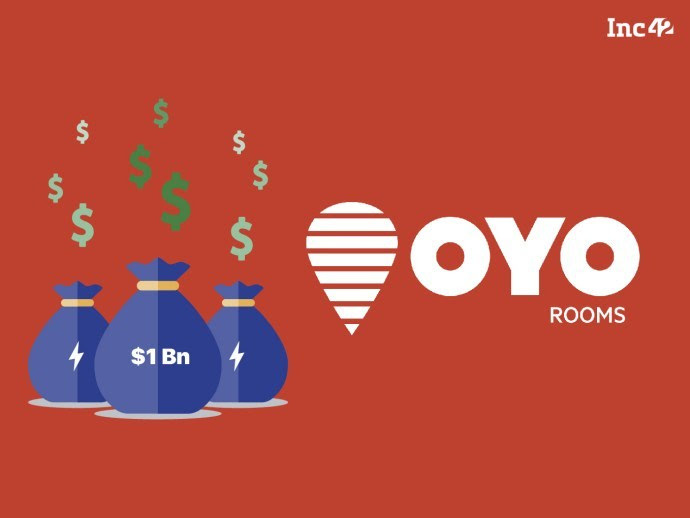 Hotel chain OYO has raised a total of $800 Mn in its latest financing round led by SoftBank Investment Advisers (SBIA) through SoftBank Vision Fund, with participation from existing investors Lightspeed India Partners, Sequoia Capital, and Greenoaks Capital. Read more to know about the other investors and commitments. 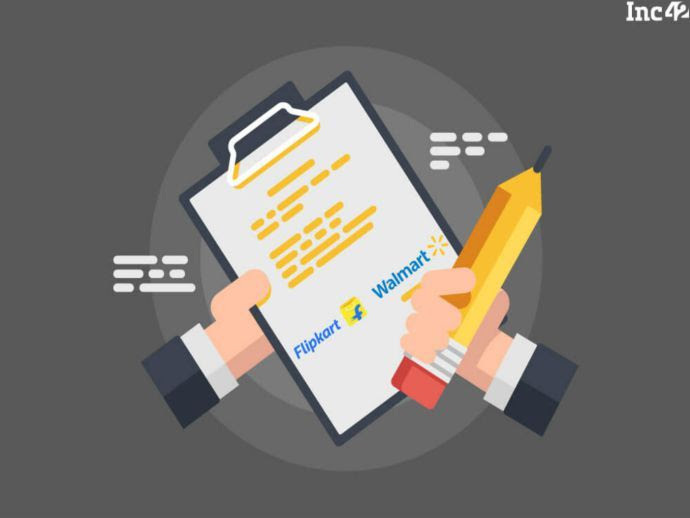 In a bid to strengthen its presence in India after acquiring Indian ecommerce unicorn Flipkart, global retailer Walmart is now reportedly looking to leverage Flipkart platform to cross-sell private brands. Ahead of the yearly festive season sale, Flipkart is increasing its in-house brands/private labels and business for its flagship Big Billion Days (BBD) sale. United Arab Emirates-based cab hailing firm Careem has announced the acquisition of Hyderabad online minibus shuttle service platform Commut in an undisclosed amount, as the former plans on expanding into mass transport. As part of the acquisition, Careem will take on Commut’s technology, talent and team to roll out its cab service in 100 cities. Kolkata-based fintech company Kredent InfoEdge has secured $1.1 Mn (INR 8 Cr) in Pre-Series A funding from renowned stock market investor Ramesh Damani and Singapore-based hedge fund manager along with another undisclosed investor. The startup has already received $688.8K (INR 5 Cr) in its kitty, while $413.3K (INR 3 Cr) is still under process. Following in the footsteps of its parent company Flipkart, Bengaluru-based online fashion retail Myntra has launched a loyalty programme dubbed as Myntra Insider, which is designed to improve engagement with its users to drive stickiness on the platform. Kanwaljit Singh, the founder of Fireside Ventures, is strong headed, to say the least. Fireside is an early-stage venture capital (VC) firm that focuses on consumer brands. 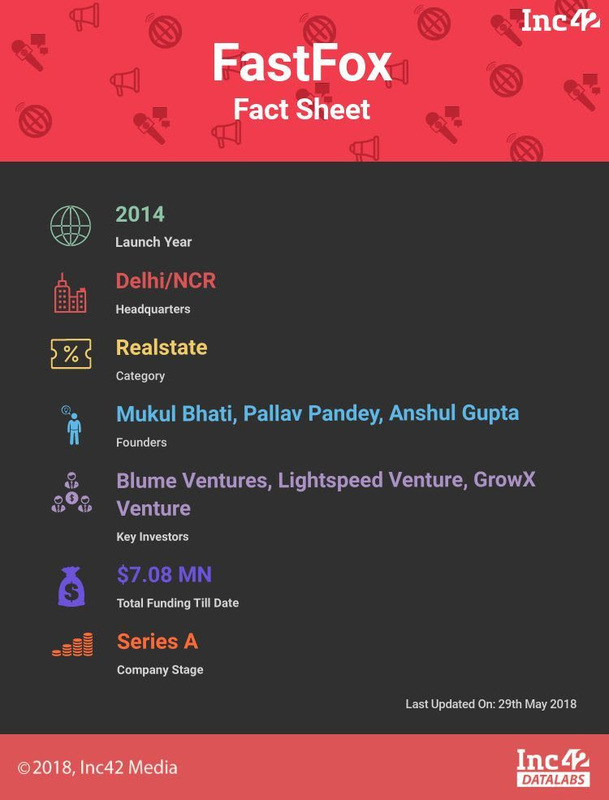 In March, Fireside closed its first fund of $47.1 Mn (INR 340 Cr), of which it has already spent $13.9 Mn (INR 100 Cr) in over 12 deals. 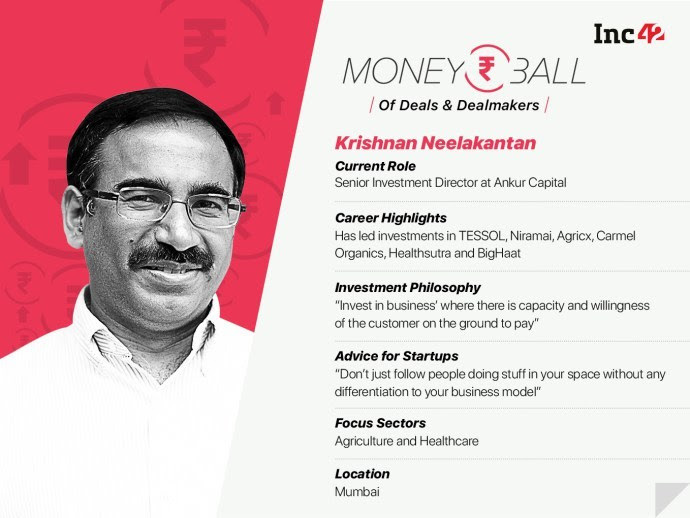 Here are excerpts of this week’s Moneyball with Kanwaljit Singh, the founder of Fireside Ventures. Even as Indian startups are going the IPO way, Vembu loves his freedom and has no plans to take Zoho public. This, despite the fact that in H1 18, India recorded the highest IPO activity in terms of the number of deals across the globe, accounting for 16% of the total issues. Bengaluru-based online classifieds and services portal Quikr India Pvt Ltd is reportedly in talks to raise between $100 Mn and $150 Mn by keeping its record valuation of $1 Bn. If the company successfully manages to raise funds sustaining its $1Bn valuation, it would mark a turning point for the company. Indian government-owned statutory body Telecom Regulatory Authority of India (TRAI) has reduced the scope of regulation for the proposed framework for the over-the-top applications (OTT) like WhatsApp, Skype, Netflix, Hotstar among others. The first meeting of the recently formed ecommerce panel of secretaries was held on Thursday (September 14), during which issues related to the definition of ecommerce and grievances related to the industry were discussed. This committee is different from the inter-ministerial task force that is working on the draft ecommerce policy. SP-TBI is an initiative of the Bharatiya Vidya Bhavan’s Sardar Patel Institute of Technology and is affiliated with the Department of Science and Technology of the Indian government, which formally recognised it in 2015. With its core focus on enabling technology-based startups, the affiliation gives SP-TBI a definitive edge. Google is reportedly building a prototype system that would tie Chinese users’ Google searches to their personal phone numbers, as part of a new search service that would comply with the Chinese government’s censorship requirements. Posted in R&R- Read and Recommend | Tagged #0 10 Top ListVerse Newsletter Branding for Startups Dhananjay Parkhe DhananjayParkhe Jay Parkhe JayMentor Mentoring SME/ MSMEs and StartUps New Advances New Concepts New Ideas New Learning New Life Newsletter of the Day R&R- Read and Recommend Startpreneur StartPreneur Mentoring Startup Startup Marketing What's New? An Apple product announcement tends to be fairly routine – kickass promos, newer, fancier products mixed with some good, old-fashioned old pomp and pageantry. The tech giant held its annual debut event on Wednesday morning at the Steve Jobs Theatre at its Cupertino headquarters in California and revealed all that was new in the Apple universe. Here is everything you need to know about the latest Apple announcement. The Government of Karnataka has shortlisted 250 finalists at Elevate, its startup competition. But starting up is only the first step in what’s likely to be a long journey. The other steps include growing the company, raising money, and scaling up. On Tuesday, the government brought in four top founders – of ZoomCar, NestAway, Chumbak, and Your Story – to talk about their journey and prep young startups for the real world. 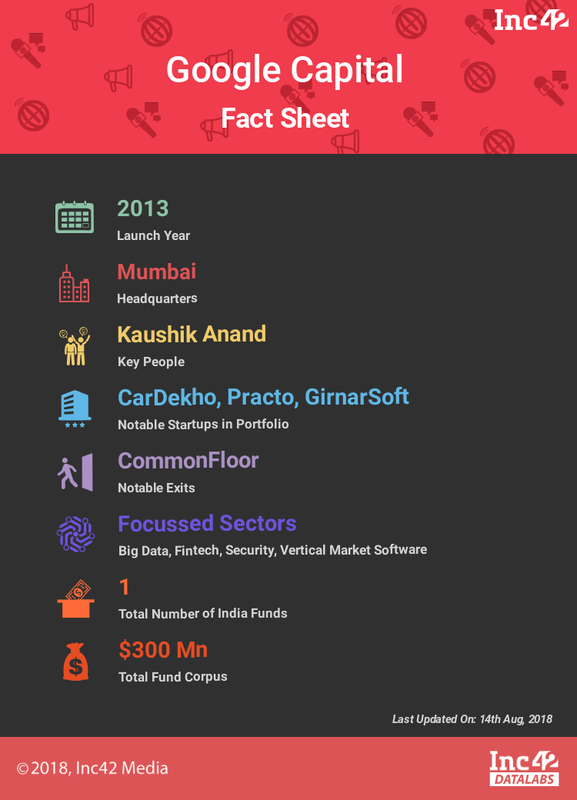 For some years now, India’s cab market has been dominated by two players – Uber and Ola. The two firms have been facing off since San Francisco-headquartered Uber entered India in 2013, two years after Ola was founded. According to a report released by ICRANSE, the Indian passenger vehicle industry is likely to ride on the “strong growth potential of domestic taxi segment” in the near term. But Ola and Uber are not the only cab services racing to get a pie of the online rental market. YourStory lists a few cab aggregators that will help you with your rental needs and let you book inter-city cabs. The Karnataka government on Tuesday announced the winners of Elevate, its startup initiative. The state has chosen 77 startups for funding this year from the 246 startups that pitched to the high-profile jury. All 77 startups will receive funding up to Rs 50 lakh each from the state IT, BT and S&T department. The programme, part of the startup policy launched by the state government in November 2015, is run under the Startup Karnataka initiative of the Ministry of IT-BT and S&T. Bengaluru-based Indian language knowledge sharing platform Vokal has raised $6.5 million led by Kalaari Capital, as a part of its Series A round. 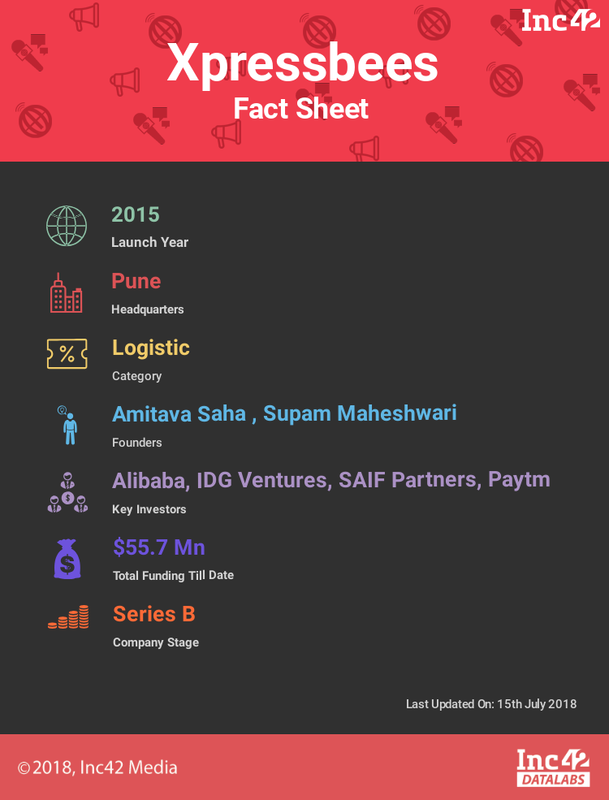 The platform, founded by Aprameya Radhakrishna and Mayank Bidawatka, had in July raised $5 million led by Shunwei Capital. Vokal is a peer-to-peer knowledge-sharing platform for India’s non-English Internet users. Tagged # 0 Daily Blog #0 10 Top ListVerse Newsletter Branding for Startups Mentoring SME/ MSMEs and StartUps New Advances New Concepts New Ideas New Learning New Life Newsletter of the Day Startpreneur StartPreneur Mentoring Startup Startup Marketing What's New? While Netflix has been in India for two years now, with Sacred Games, its first India orginal series, the international online video streaming giant has shown it’s serious about the market. 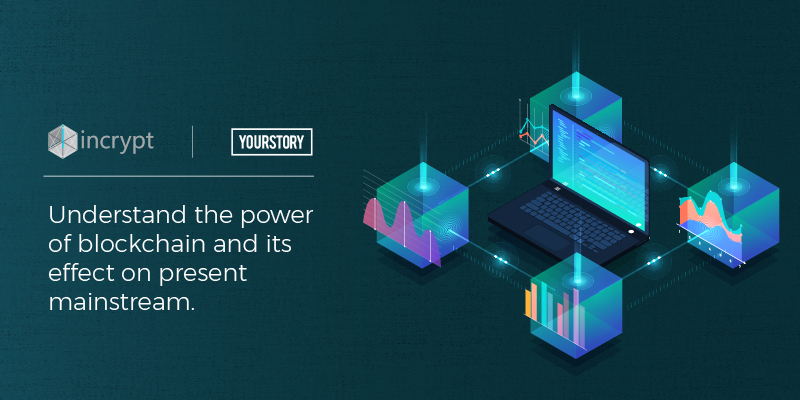 In an interview with YourStory, Michael Spiegelman, Vice President – Global Product Innovation at Netflix, gives us the scoop: the company’s India strategy, learnings from the market, and what lies ahead in terms of content, partnerships, innovations, etc. ‍CEOs are trailblazers, inspiring us to follow in their footsteps. Publications world over have highlighted their every successful move, but for one: “retiring”. Which is why everyone was amazed to hear that the great Jack Ma was hanging up his boots. The move simply didn’t match the pattern we have been used to seeing. But it is reflective of a small crop of successful people willing to let go at the peak of their careers to explore what else life can offer them. Preparing for entrance exams like GMAT, GRE, CAT, banks, the Railway Recruitment Board (RRB), and the civil services can be stressful. But finding the right study tools and resources can be even more frustrating at times. Daunted by huge entrance prep books? Or just can’t afford them? Whatever may be your reason, these exam prep apps are here to save the day. Karnataka is serious about its startups and in yet another commitment to the ecosystem, it held Elevate, a startup pitch event for which 650 companies from across the state applied in a bid to gain a grant. Last year 1,700 startups applied to the competition and the government funded 100 companies. The Karnataka government has provided Rs 42 crore for 177 startups so far and has already disbursed Rs 30 crore. At the Karnataka government-sponsored startup pitch event Elevate, several startups from hardware, heritage travel, fintech and several other sectors showed the potential to be the next $100 million company. Of the 250 pitches, around 50 to 70 will qualify for a grant from Karnataka. The winners will be declared on September 11. This may have been a Bengaluru event, but there were startups from Hubballi, Tumakuru, Ballari and other districts in Karnataka too participated. Online parenting platform BabyChakra has raised an undisclosed pre-Series B round from a clutch of investors. BabyChakra plans to use the funds in language expansion of its platform which currently invites over two million families every month to exchange information and tips on pregnancy and parenting. Nearly 70 percent of these visitors are from Tier 2 and Tier 3 towns, making language innovation imperative. From classical dance to majestic temple architecture, from rich mining reserves and agricultural produce to heavy industries, Odisha continues to be a hotbed of innovation. #IAmOdisha campaign focuses on highlighting that and tells the stories of entrepreneurship, innovation, and drive while inspiring people to showcase their own. The “I Am Odisha” campaign will culminate in a grand finale at the Make in Odisha Conclave 2018 (MIO) in Bhubaneswar that commences on November 11th 2018. As per the officials, Google has agreed to abide by all the RBI requirements but has sought around two months extra to comply. The ministry official said the government is still firming up its recommendations on storage of personal data after the Srikrishna committee submitted its report last month. Food delivery Unicorn Zomato’s newest investor Alibaba’s Ant Financial has secured the right to become the largest shareholder replacing Info Edge, as the Chinese payments giant aggressively seeks to expand its presence in India. Ola customers will soon be able to order food via the ridesharing platform. The company will soon be integrating online food delivery app Foodpanda to its cab-hailing app, which it acquired for $31.7 Mn in January 2018. The draft ecommerce policy makes several random proposals such as making the National Payments Corporation of India (NCPI)’s RuPay card (a domestic solution/alternate to Visa and Mastercard) mandatory for payments gateways. It also suggests the creation of a government-aided ecommerce platform to promote micro, small and medium enterprises (MSMEs). Impossible Aerospace shared launch details of its US-1 drone today, with a dense design that is basically all battery. The company announced that it had closed a $9.4 million Series A from Bessemer Venture Partners, Eclipse Ventures and Airbus Ventures. Vertical Aerospace is a British startup that has built and flown a fully electric vertical takeoff and landing (eVTOL) aircraft. The startup says it aims to launch a fully operational “air taxi” service by 2022, but plans to do so with pilots, rather than without, in order to comply with existing aviation regulations. Amazon-sponsored product ads have been around since 2012. But lately, as the company has invested in growing its advertising business, they’ve become more aggressive. Sponsored ads allow vendors to bid auction-style to have their products show up when consumers type in a related search term. 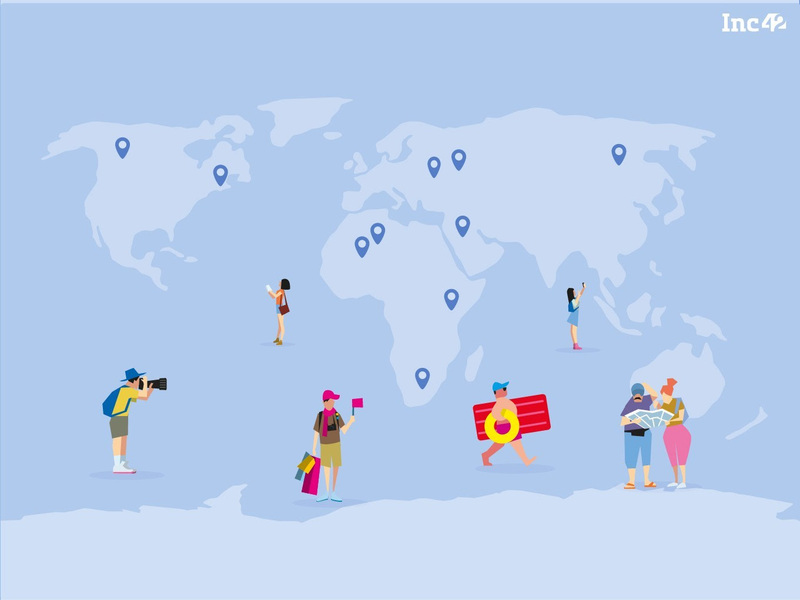 Founded by Monish Shah and Malhar Gala, TraveLibro enables users to build a global social network where they can capture their travel experiences in live ‘On-The-Go’ stories via photos, videos, reviews, and thoughts, chronologically. Inc42, in the 21st episode of Ask Me Anything (AMA), hosted Siddharth Talwar, co-founder and partner of Venture capital firm Lightbox. 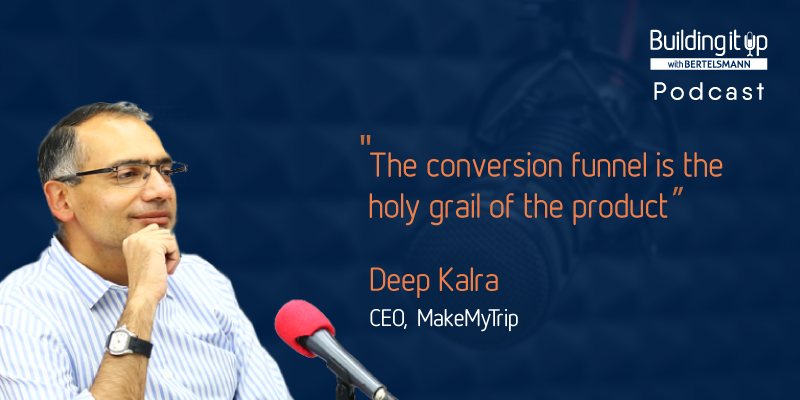 He has been in the startup ecosystem for nearly two decades with hands-on-experience of being an entrepreneur and then an investor, supporting consumer technology startups. Zoho, which enables enterprises to run their businesses smoothly with its suite of online productivity tools and SaaS applications, claims to have more than 35 Mn users worldwide. Even as Indian startups are going the IPO way, Vembu loves his freedom and has no plans to take Zoho public. Posted in R&R- Read and Recommend | Tagged #0 10 Top ListVerse Newsletter Branding for Startups Mentoring SME/ MSMEs and StartUps New Advances New Concepts New Ideas New Learning New Life R&R- Read and Recommend Startpreneur StartPreneur Mentoring Startup Startup Marketing What's New? It is that magical power of having confidence in oneself and in Entrepreneur’s powers and abilities. Results are gained by focused and sustained effort. Entrepreneurs concentrate on achieving a specific goal, not just accomplishing a string of unrelated tasks. Entrepreneurs realize that there is a chance of loss inherent in achieving their goals, yet they have the confidence necessary to take calculated risks to achieve their goals. So which of these three main characteristics is the most important? Believe it or not, it has to be self-confidence. Without self-confidence, nothing else is possible. If you don’t believe in your abilities, then the first challenge that arises may knock you off the path to achieving your goals. It all starts with a positive attitude, doesn’t it? Believing that something good will happen is the first step. Negative thinking simply is not allowed. You must truly believe that there are no circumstances strong enough to deter you from reaching your goals. Remember too, that positive thinking can be contagious. When positive thinking spreads, it can open doors to new ideas, customers, friends, etc. In the beginning, we identified a few traits which are common among successful entrepreneurs. You should be able to look ahead and see yourself where you want to be. Now just maintain a strong belief in yourself and your skills, stick with it, and don’t give up. If you can do that, you’re already half way there!